The PC/104 standard is very popular for embedded applications. 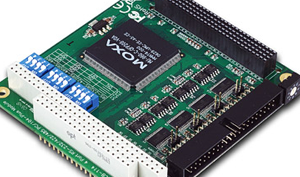 Moxa offers a wide selection of PC/104 boards to provide industrial-grade connections to multiple serial devices. Use Moxa’s boards so that your PC/104-based systems can establish serial device connections with high data throughput over multiple serial interfaces.